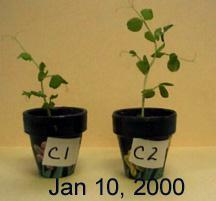 The idea that talking to your plants can affect their growth rate might, at first, seem to be a far fetched notion. But is it really? We all know people who seem to have a proverbial "green thumb." More often than not, they seem to be folks who genuinely like plants. Their idea of a good time is spending long hours in the hot sun of summer working in their garden or potting plants. What is it that separates them from the average person who is indifferent to plants? 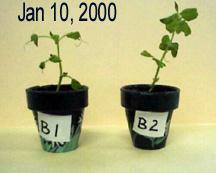 Could it be that they have the ability to establish a sort of emotional link with their plants? Could these people be radiating a form of "cosmic love" that makes their plants strong and hardy? 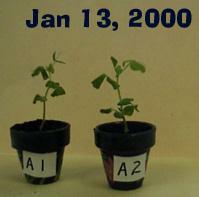 Conversely, is it possible that people generating negative emotions stunt the growth of plants? There is a body of literature that suggest that this may well be the case. So here at Ufotalk-time we decided to do some experimenting of our own. Limited in scope and with fewer controls than would be desirable in a strict academic study, the experiment, nonetheless, yielded some interesting results. And we invite you to examine the results and form your own conclusions. 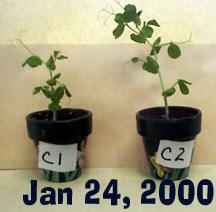 All plants were placed in the same size pot, with the same amount of soil, and given thesame amount of water at the same time. 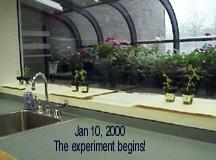 The plants were placed in a window that faced a greenhouse. 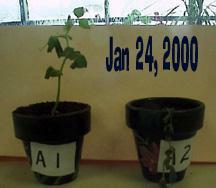 Two plants were in each group. 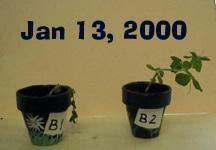 Groups B and C plants were taken into a closet for the talk, and then returned to the window. 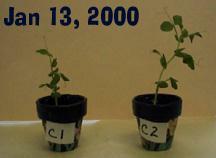 The same students were used throughout the experiment, one for positive talk, one for negative. 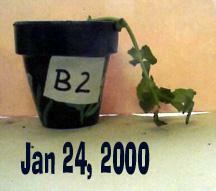 The plant that survived the negative talk, grew 0.1 cm taller than the plant that received positive talk. 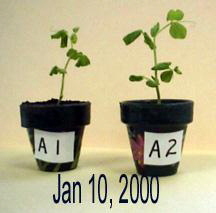 Both the control group and the negative group had a plant die. Here are the words spoken to the plants. Remember, these are 12 year olds!! "Grow, you plants are the best"
"Try to touch the sky"
"You're the best plant in the world"
"Try your best at growing"
"You're so pretty with your light green, dark green and green colors"
"Die you nasty plants, die"
"You are the worst plants in the world"
"Die you worthless pieces of green seeds"
Note: The two boys who talked to the plants were given no instruction on what to say, other than it had to be positive talk, or negative talk. They talked to the same plants twice a day for five minutes each time. Once before 8:15 am, and the second time around noon each day, Monday through Friday.